If you are searching for the best USB to Serial adapter on the market today then you have come to the right place. The new generation Thunderlinx™ USB to Serial RS232 adapter is probably the only USB to Serial adapter you will ever need regardless if you are a beginner wanting to connect your old serial printer to your computer or if you are a super user trying to connect a nuclear reactor to a Linux control center. If you need a quick and easy way of connecting virtually any device or equipment which has a standard RS232 serial port to a computer through the USB port then Thunderlinx™ adapter is the answer. Architecture of the Perfect Adapter. The people behind the Thunderlinx™ USB to Serial adapter has spent a lot of time trying to come up with the best design for an adapter which is not only reliable under a wide range of environments and uses but also is as user friendly as possible. The Thunderlinx™ adapter offers one RS232 port which is designed around the new generation FT231X USB-Serial processor from FTDI Semiconductors, which is one of the most reliable, feature rich and overall solid processors on the market. Below is a description of some of the features so you can see why the Thunderlinx™ adapter is the only way to fly. All USB to serial adapters are built around a main USB – Serial processor. This processor in conjunction with the drivers installed on the computer is in charge of converting the USB data to serial data and the serial data to USB data. Since this processor is responsible for converting all the data, the importance of quality and reliability is obvious. 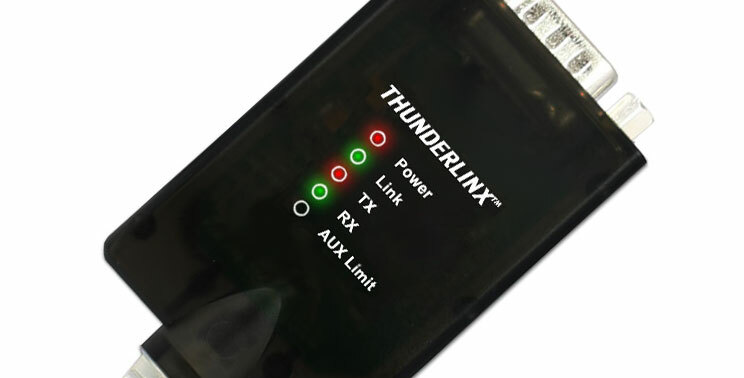 The Thunderlinx™ USB to Serial adapter is using the FT231X processor from FTDI Semiconductors which is a full featured processor from FTDI's new generation of USB – Serial processor chips. FTDI Semiconductors is a Scottish company specializing in USB serial processor chips and has been in business since 1992; their USB serial processors are some of the best and most reliable on the market. Most low-cost USB to serial adapters are using cheap low quality Chinese processors which should be avoided at all costs if you want easy installation and reliable data communication. One of the reasons why the Thunderlinx™ adapter is designed around the high quality FT231X processor is because the drivers for the processor are very well written, reliable and frequently updated, which means that the adapter will work with almost all versions of Windows, Mac, Linux and even Android operating systems. When a new version of an operation system is released, a new version of the drivers for the Thunderlinx™ adapter is also released either at the same time or very shortly after the operating system's release. Most adapters are advertised as working with up to 921,600bps however due to serial driver IC limitations in most USB to Serial adapters this is not true, most adapters only works with up to around 250,000. The serial driver used in the Thunderlinx™ USB to serial adapter, SP3243EUEA-L from Exar Corporation, is however guaranteed to work with up to 921,600bps. Notice also that it is rated for up to -40C to +85C with an electrostatic discharge protection of up to 8KV for contact discharge and 15KV for air discharge which usually is more than sufficient for most environments. Since the USB port usually is always active and has power while the computer is turned on, it is important that effective and sufficient electrostatic discharge protection (ESD protection) is provided, as connecting and disconnection USB devices such as an USB to Serial adapter can and will at some point incur static electricity; this is particular true in industrial environments. If the USB device is insufficient protected it will be damaged by high voltage static electricity. This is the reason why the Thunderlinx™ USB to Serial adapter has extra ESD protection. Most standard USB to Serial adapters have ESD protection for the USB port of between 2 and 3 KV, the Thunderlinx™ adapter has EDS protection of up to 8KV contact discharge and 15KV air discharge which effectively will protect the adapter's USB port against most high voltage transients and electrostatic electricity, even in heavy duty industrial environments. An important aspect of successful data communication is reduction or suppression of interference / noise such as EMI (Electromagnetic interference) and RFI (radio-frequency interference) filtering. This relates both to external interference affecting the adapter's data signals but also to frequencies generated within the adapter which can radiate to devices connected to the adapter. To keep the signals clean to ensure successful communication the Thunderlinx™ adapter has individual filtering on all 7 serial data lines and also on the 2 internal USB data lines. A ferrite core at the USB connector end ensures RFI noise does not enter the cable. As a special feature the Thunderlinx™ adapter has 5VDC on pin 9 of the DB9 connector which can be used for powering the serial device connected to the adapter (provided the particular serial device you connect to the adapter can be powered from pin 9 of course, not all serial devices has this option). Up to 460mA can be drawn from pin 9. A LED light indicates "AUX limit" if the current rises above 460mA and the internal protection circuitry limits the current so no damage is done to the USB port or the adapter. Another nice feature the Thunderlinx™ adapter has is indication of COM port status. A LED light indicates when the operating system has enumerated the virtual COM port which actually means that the virtual COM port has been created successfully. Being able to see when the COM port has been created and the adapter is ready to use without having to enter the operating system saves you time and is convenient when troubleshooting communication problems. Power: Indicates when the adapter has 5VDC power from the USB port. The light turns ON when the adapter is connected to the USB port and stays ON as long as it is connected provided that the USB port has 5VDC. Link: Indicates when the virtual COM port has been created. This light indicates when the operating system has enumerated the virtual COM port which actually means that the virtual COM port has been created successfully and the adapter is ready to use. TX: Indicates blinks when data is present on the transmit (TX) data line. RX: Indicates blinks when data is present on the receive (RX) data line. AUX Limit: Indicates when the current limit of 460mA on pin 9 has been reached. This is only applicable if the serial device you connect to the adapter gets its power from the adapter's pin 9. If the serial device draws too much current the adapter's protection circuitry will limit the current to 460mA and the AUX limit light will come ON. Thunderlinx | Powered by Mantra & WordPress.